Close your eyes and picture a sunrise. For the majority of people, the ability to visualize images – such as a sunrise – seems straightforward, and can be accomplished ‘on demand’. But, for potentially some 2% of the population, conjuring up an image in one’s mind’s eye is not possible; attempts to visualize images just bring up darkness. Although identified back in the 19th century, Aphantasia remained under the radar for more than a century, and it was not until recently that it has been rediscovered and re-examined. It has become clear that Aphantasia is a fascinating and often idiosyncratic condition, and typically more complex than the simple absence of an ability to visualize. People with the condition – Aphants – commonly report effects upon their abilities to recreate sounds, smells and touches as well; many also struggle with facial recognition. Paradoxically, many Aphants report that when they sleep, their dreams incorporate colour images, sound, and the other senses. 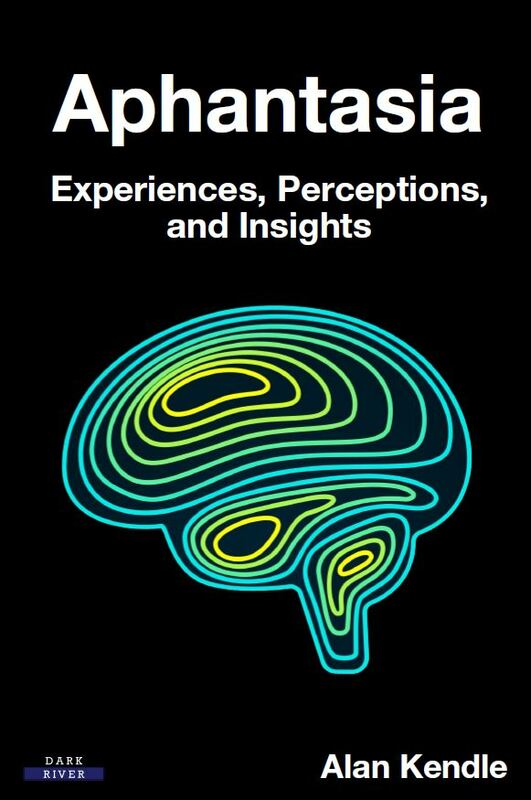 Put together by lead author Alan Kendle – who discovered his Aphantasia in 2016 – this title is a collection of insights from contributors across the world detailing their lives with the condition. It offers rich, diverse, and often amusing insights and experiences into Aphantasia’s effects. For anyone who wishes to understand this most intriguing condition better, the book provides a wonderful and succinct starting point. Chapter 1: What is Aphantasia? Alan Kendle is an engineer working in the automotive industry, and lives in Essex, England. He followed an instinct that there was a reason why he struggled to read fictional stories but could obtain an engineering degree. While trying to discover why he could not read the books others could, his wife heard the term “Aphantasia” in October 2016 on a BBC radio programme. They both quickly realised that he had this condition, but so little seemed to be known about it. The only real place to share and learn more was online, where others had setup groups to share and discuss ideas, thoughts, and theories. As an Engineer, Alan has spent 15 years working in an innovation team that was used to understanding complex scenarios and offering future thinking around technology. Possibly because of this working background, Alan took his condition as a challenge to know and understand more. He wondered how Aphantasia could have been hidden to him for so long. Learning more, he decided to document his experiences initially for himself, but eventually knew he needed to write a book to explain and share his personal insights with others. Book Categories: People and Science.